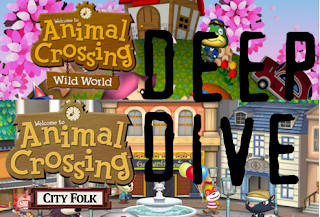 With coverage of the first title done and dusted, it's about time we sink our teeth into the next instalment to the series, Animal Crossing: Wild World. Additionally, we'll also be taking a look at the game's sequel, Animal Crossing: City Folk. Unfortunately, there isn't that much lost content in Wild World. 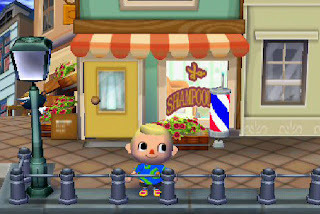 Since moving from the GameCube to the Nintendo DS, the series did lose a lot of content, such as seasonal holidays and the island, which seemed to give all of this up for online connectivity - and thus, a number of villagers and special characters were left out entirely. The only pieces of unused content the game contains in its files are items that were cut from the final game. Most of these do actually appear in game, but are unobtainable by the player. The paint can, beehive, sold out sign, and a four-leaf clover (that can't be worn by the player) all have models that can be obtained and used by the player, though they can not be accessed via normal means. There are also a couple more "unused items" that have questionable validity. These items are known as the hidden Nintendo items, such as the 8-bit Mario set, the Blue Falcon and Pikmin. All these items are fully functional furniture pieces in game, though depending on who you ask, will tell you whether or not they're legit. Some players claim these items could only be obtained via hacking, whilst others claim there were legit events held in 2006-2007 at Toys "R" Us stores as well as the Nintendo World Store. Due to the lack of information on these items it may be very difficult to prove what is true. I had only ever heard these items were hacked, but we may never get a solid answer. The most infamous "cut" item from the game would be seeds. Seeds are a fan-made term and refer to landscape items such as buildings or trees that can be hacked into the game as an item that can be dropped on the ground. Due to this, it was possible for players to have their games completely bricked, either by themselves, or by a player online. 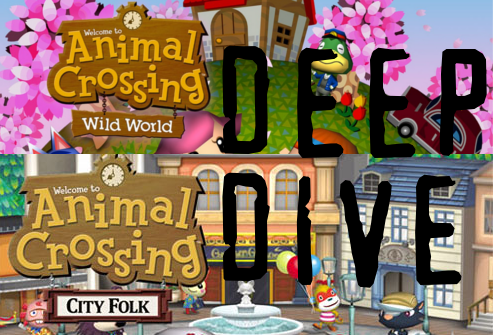 So other than a few unused and glitchy items, there really wasn't a whole lot left out or changed during Wild World's development cycle, but thankfully Nintendo had another game in the works which, which had a few more tweaks during it's development cycle than Wild World did - titled Animal Crossing: City Folk. Much like its predecessor, content wise this game is lacking in what it lost, the majority of it being unused items. 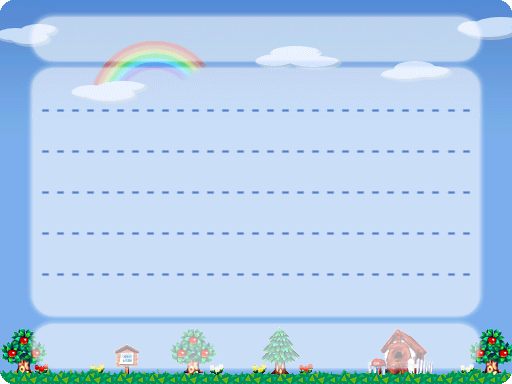 To get the more boring stuff out of the way, a total of 27 acre layers went unused, some suggesting that three layered towns would be possible much like in the GameCube titles. Akin to Wild World, the game has the unused paint can models and sold out signs, there's also a model for wilted Gold Roses (which in game can not wilt), and every single hybrid has a flower seed bag programmed into the game except for Gold Roses. 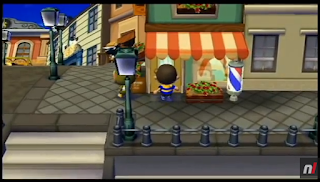 It is possible at one stage there were plans to actually buy hybrid flowers at Nook's store, though it's most likely these were just used as place holders as one point in development. 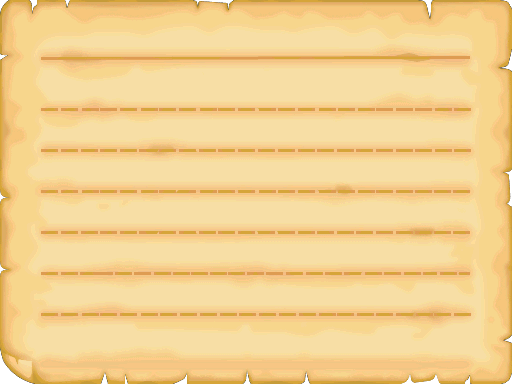 There are also tow unused stationary papers in the games files, the Weathered Paper - which uses the same layout as the Note in a bottle from Wild World (which was cut in City Folk) - and a completely new piece called the Bulletin Paper. 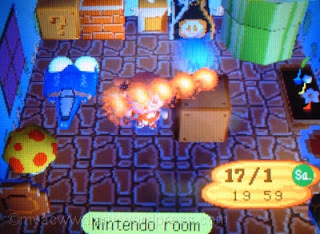 A few more unsued items exist, such as all flooring and wall paper sets for each of Nook's stores (these were also present in Wild World), and some of the Nintendo items from Wild World were left out entirely, being the Pikmin and Blue Falcon. The Nintendo Bench from Wild World can be hacked into the game, and the moth orchid displayed in Lyle's Happy Room Academy, as well as the brown and white pots displayed in Nook's Cranny can all be hacked into the game and displayed as furniture pieces. The moving boxes displayed when a villager is moving houses can also be used in game, as well as an invisible chair and sofa. There's also an unused emotion that uses the Anger icon, and plays the "close inventory" animation when used. Three months later the Revolution was officially revealed in June 2006, and was now known as the Nintendo Wii, and the game was simply rebranded to the working title of "Animal Crossing". Now that details of the Nintendo Wii were known, Eguchi was able to more freely talk about the game, and mentioned how the Wii Remote would function as tools, and also spoke about wanting to utilise the WiiConnect24 feature and allow players to visit their friends and leave gifts for them whilst their console was in standby mode. Of course, this feature did not make it into the game, but it was revamped as the Dream Suite in New Leaf. The game was slated for a "TBA" release date, but was listen on Nintendo's 2007 release window in February that year. Later that year at E3 Miyamoto said the team were busy working on other big projects, such as the Mii Channel, but were eager to get back to working on Animal Crossing. The year soon came to and end, and no Animal Crossing title was released. 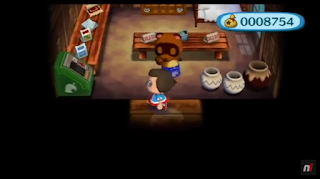 After a long silence, at E3 2008, the game was finally revealed with the title of "Animal Crossing: City Folk", alongside a playable demo, and Reggie Fils-Amié stating the game would be out by the end of the year. After three years of hearing about the game, we finally saw our first glance at some footage. With this footage, alongside what we saw in the demo, we are able to pick up on a few things that changed. In the town, the date numbers on the clock are slightly bigger, the bell counter is displayed differently, default player designs differed, the paving around The Gate and Able Sisters was more detailed, the chat menu wasn't panned towards the player, and unread messages on the Bulletin Board were displayed with a red icon rather than yellow. The City also saw a few changed; the sidewalks had a different colour pallet, the music for the City played when the bus arrived in the City (rather than after the player got out of the bus), GracieGrace had a different logo and the doors opened slower, and the Gracie series has a slightly different colour scheme, the City's Town Tune was the same as Wild World's default Town Tune (likely a placeholder), Labelle's Town Tune was slower and her voice had a higher pitch, and Shampoodle's has a different logo. Five months later, "Animal Crossing: City Folk" was released to the world... but there's still one tiny change that happened before the games released. Spotted on the Australian Office of Film and Literature Classification's site on September 14, 2008, was a name change of "Animal Crossing: Let's Go To The City". On September 25, the game got it's official release date for PAL regions, as well as the confirmation that the game would be called "Let's Go To The City" rather then City Folk in PAL regions, assumed because "folk" is an uncommon word outside of America. 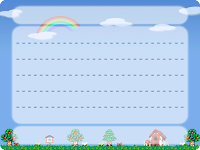 And that about wraps up the development cycles for Wild World and City Folk. Tune in next time when we cover the most current main series game, Animal Crossing: New Leaf!